You want to make sure your environmental and socio-economic technical reviews for projects like mines, pipelines, transmission lines, oil & gas projects, and nuclear facilities, are as effective - credible, defensible, and constructive - as possible to support the best possible Impact Benefit Agreements (IBAs). But how do you know if your consultants are good... or if they have their heads in the sand? If your Indigenous community has faced any kind of major development project in your traditional territory – mines, pipelines, transmission lines, for example - you’ll be familiar with environmental and socio-economic technical reviews. Also known as peer or third-party, reviews, these reviews are often requested by lawyers and negotiators working on behalf of First Nation, Metis and Inuit clients to negotiate Indigenous Impact-Benefit Agreements (IBAs) or other formal agreements such as capacity, environmental, participation, revenue-sharing agreements, Indigenous-industry partnerships. Even if you conduct your own independent impact assessment of a project, you will want to conduct technical reviews of the proponent's impact assessment and the Crown's impact assessment. Your Indigenous government will want to make sure the Duty to Consult and Accommodate is being fulfilled to the highest extent possible. This will be the case for really big projects like pipelines, and even for modest projects put forward by non-Indigenous municipal governments in your territory. Technical reviews provide information to support your Indigenous government's requirements for the environmental assessment (EA) and project impact studies conducted by the company or government body driving the development project forward (also called "the proponent") and the government agencies that may ultimately provide "Crown approval" for the project. You can use this information to exercise your Free, Prior and Informed Consent (FPIC), and to and structure your IBA to protect your rights and interests. Simply put, a good technical review can help you improve a development project, effectively push back against project elements that create serious risks for your community, and can support your legal and negotiating team's position as they develop an IBA. You want to make sure your technical reviews are as effective - credible, defensible, and constructive - as possible. But how do you know that they are? Because technical reviews often cover so many specialized topics - the potential adverse environmental, economic, social, heritage and health effects that may come up during the life cycle of a proposed project, and potential opportunities - many Indigenous governments rely on specialized consultants like Shared Value Solutions to fill internal capacity gaps (and really, do you need a full-time fluvial geomorphologist on staff?). But if you don’t happen to be a fluvial geomorphologist yourself, how can you know if what you’re seeing from your consultant is any good? Here are some elements to watch out for – the good and the bad – to make sure technical reviews are as effective as possible in both protecting your lands and waters in the environmental assessment process, and in helping identify issues for potential negotiations. “Fishing expeditions”: Raising every issue under the sun from the editorial to the philosophical without any screening, prioritization, or strategy. For example, comments on grammar and spelling, “if a tree falls in a forest”- type questions, or raising issues that are inconsequential. Disjointed reviews: Failing to organize the key issues effectively, and to connect them with the context and issues of relevance to your community’s rights and interests. If you receive a detailed review about a bunch of issues but it is not clear how they relate to the things your community cares about, you are probably getting a poor quality review…or poor communication- see #3.
the proponent seeking approval for their project. Writing to impress other technical consultants as the key audience is a problem. Technical reviews are not the place for your consultant to get into a battle over irrelevant technical details with other technical people, no matter how passionate your consultant feels about them. Questions without recommendations: Raising a long list of questions instead of providing targeted, specific, defensible issues and recommendations based on your rights and interests. Confrontational approach: Overly adversarial or condescending content that will not be taken seriously or acted on by regulators and companies seeking project approvals. Make Sure You Get What You Pay For! With environmental and socio-economic technical reviews, like many things in life, you get what you pay for. The company (also called "the proponent") driving the project usually pays for the best lawyers and technical people to prepare its project for Crown approval processes, and to negotiate IBAs. To make sure there is a level playing field, a good proponent will pay for your community to have the best lawyers and technical people to enable you to support your rights and interests. 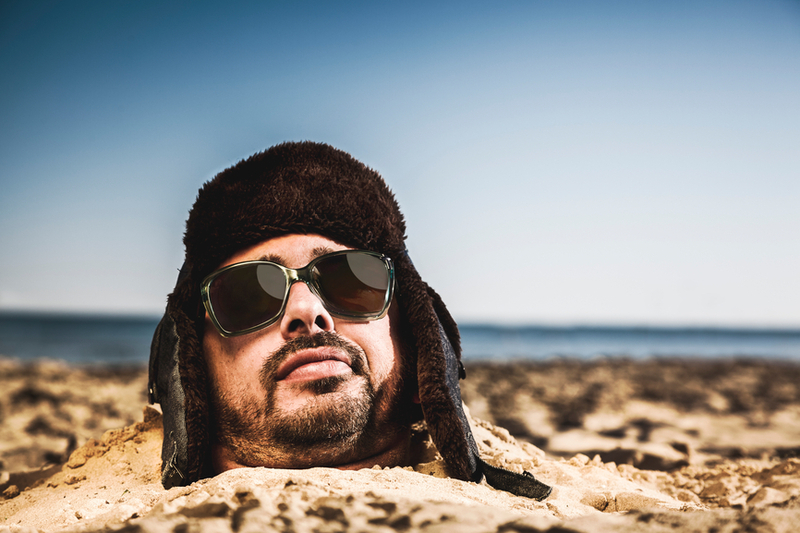 A not-so-good proponent will want you to hire technical consultants who have their heads in the sand, and steer you away from using good lawyers. If you see this happening, it's a big flag that you have all the more reason to bring the best legal and technical people to your table! Connecting the findings of the review with specific regulatory, industry-community relationship, negotiable points and “shared value” opportunities is a hallmark of a truly effective technical review. If you’re not getting that level of analysis and insight from your consultants, you are not getting your money’s worth! SVS is a Canadian B Corp, and we assist Indigenous communities with support throughout regulatory processes surrounding major development projects like mines, hydroelectric facilities, transmission lines, highway expansions, oil and gas pipelines, natural resource transport applications and nuclear power. We have deep context and experience behind the recommendations we provide, having worked for our clients on almost every major project in Canada over the last 10 years. For us, it’s all about building long-term relationships with our clients. We want to get to know you and what you want to do so we can help you move your plans forward. Now that you know who we are and what we do, tell us more about what’s going on in your world.